Multitasking is a concept that plagues most people today—whether entrepreneurs, professionals, parents, students—no matter the roles we fill we’ve got a lot coming at us and a lot on our plates. 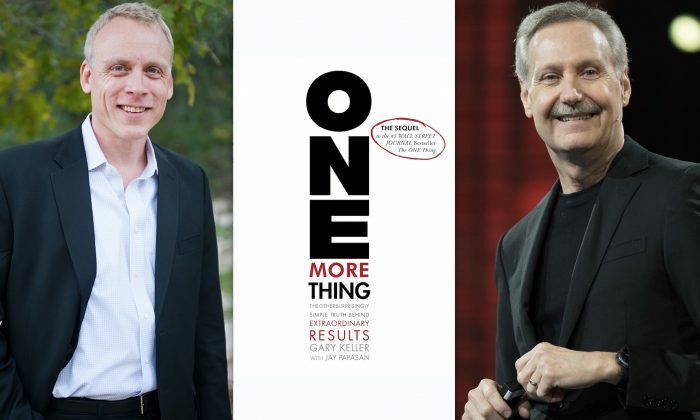 Instead, Gary Keller and Jay Papasan bring forth the revolutionary idea that we should instead (gasp) do one thing at a time. Previous societies may have baulked at the need for such advice, but as our stress and feeling of being overwhelmed clearly tell us, this message is one we need to hear. “If everyone has the same number of hours in a day, why do some people seem to get so much more done than others?” The answer, “The One Thing” concludes, is the ability to do “the one thing” until it’s done. This means ignoring and eliminating distractions, blocking time, forming good habits, fueling your body adequately, and more. A dose of clarity and a sigh of relief, “The One Thing” is a quick and worthwhile read. If you feel overwhelmed and behind the high ball, this perspective may be just what you need.